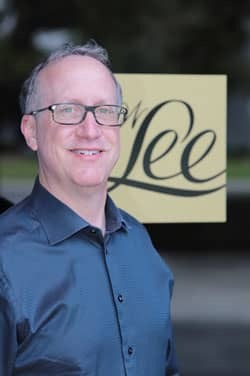 OW Lee, a manufacturer of high-end outdoor furniture, fire pits, and accessories located in Ontario, Calif., announced that it has added Marty Berk as an independent sales rep for the New England Territory. Berk joins OW Lee to represent Maine, New Hampshire, Vermont, Massachusetts, Rhode Island, and Connecticut with over 30 years of experience in the industry. Growing up in the industry, Berk followed in his family’s footsteps after graduating from Pace University in New York by working for his father’s rep firm. In 1987 he started his own business, representing some of the best names in Casual Furniture in New England and Upstate New York. Marty has consistently been a top rep for the companies he has worked with and received many sales awards in his career. “Marty’s experience and personal reputation make him a perfect fit for OW Lee in this region. We are thrilled to have him as part of the OW Lee team,” Said Brenda Pereyda, Sales Manager for OW Lee. Marty will be working with both retail and contract accounts in his territory. About OW Lee: OW Lee was founded in 1947 in Pasadena, California. They are the premier manufacturer of fine wrought iron and wrought aluminum outdoor furniture and fire pits. OW Lee manufactures heirloom quality products in Ontario, California and they are one of the few remaining companies in the outdoor furniture industry that still manufacture in the USA.